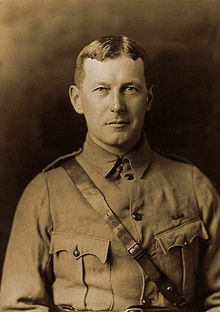 For authors with similar names, see Author:John McCrae. In Flanders Fields, 1921. Illustrated editon. Published with Macphail's, "John McCrae, an essay in character", In Flanders Fields and Other Poems, 1919. "In Flanders Fields" p. 371; "The Anxious Dead" p. 371. The author died in 1918, so works by this author are in the public domain in Canada because, according to Canadian copyright law, all private copyrights expire fifty years after the year marking the death of the author. Works by this author also in the public domain in countries and areas with longer native copyright terms that apply the rule of the shorter term to foreign works.